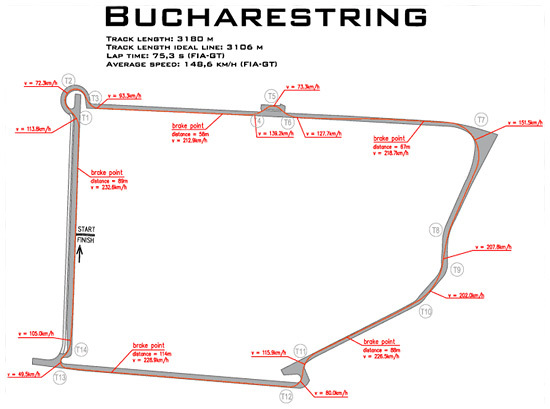 The impressive www.bucharest-ring.com website includes the track layout for the FIA GT event on May 20 next year. Despite a sub-heading suggesting otherwise (on the previous FIA GT news item on dsc), there were GT cars present for the launch, on November 5, of this new FIA GT event. 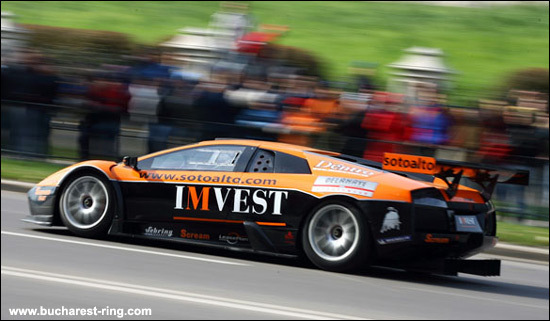 The Renauer Porsche was in action, plus one of the 2004 DAMS Lamborghinis, with a Maserati Trofeo adding to the 'flavour' of the event.